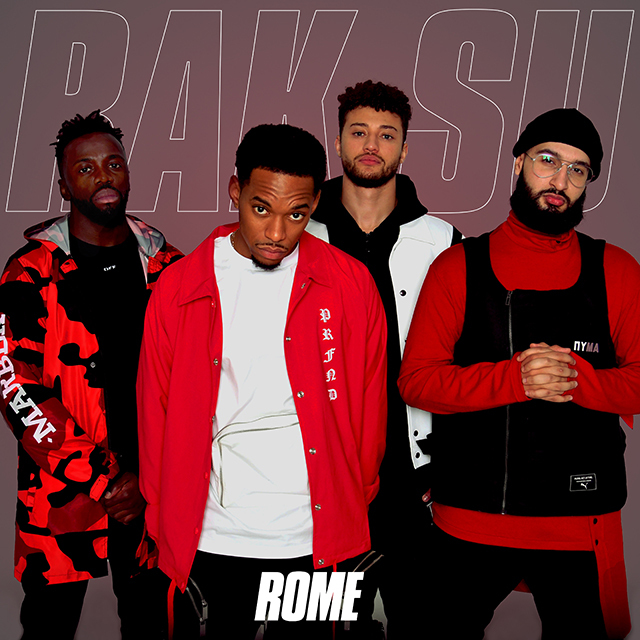 The X Factor champs Rak-Su are back with new EP Rome, which is available to stream and download today. Taking the four-piece back to their signature sound fusing reggaeton, rap and R&B, the EP kicks off with lead track Into It. Fans will appreciate the throwback sound that will remind them why they fell in love with the group in the first place. Rome draws from Rak-Su’s own musical tastes and reflects their individual life experiences. Jamaal grew up singing gospel, Mustafa spent years winning beatboxing contests, and Ashley and Myles made grime and trap together as teenagers. Rak-Su will be hitting the road with Olly Murs on the popstar’s huge arena tour later this year.